“Ambulatory surgery” is defined as surgical procedures requiring at least local anesthesia, which are more complex than office-based procedures but less complex than operations requiring at least an overnight stay. Approximately 90 % of anorectal surgery to treat fissures, condyloma, fistulas, certain early tumors, hemorrhoids, and pilonidal disease may be suitable for the ambulatory setting. 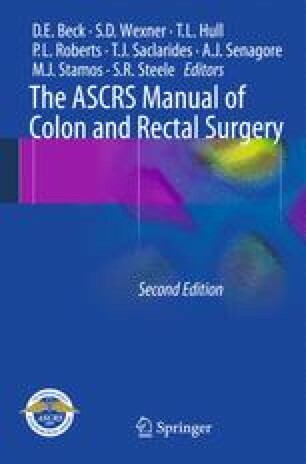 The Standards Committee of the American Society of Colon and Rectal Surgeons (ASCRS) has developed a Clinical Practice Guideline about Ambulatory Anorectal Surgery, for practitioners and health care workers, to provide current information from the literature upon which decisions can be made.